AT&T Galaxy S III With "It Can Wait" Bundle Giveaway! We're back and we're doing what we love doing most: giving away a phone and an entire package of goodies to one lucky reader! 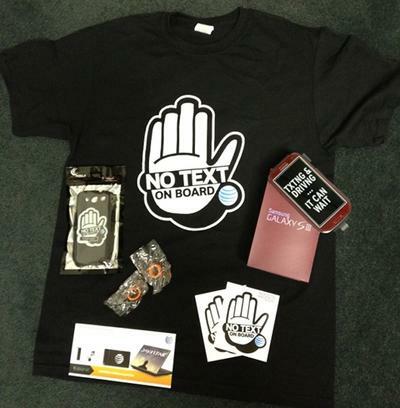 This giveaway is particularly noteworthy, however, because it highlights a very important issue: texting and driving. AT&T kicked off its "It Can Wait" texting campaign in 2009 with the sole purpose of preventing accidents and deaths related to texting while driving. You may shrug it off and say that it's OK to text while at a stop light, or that you're "always focused on the road" but the truth is that more than 100,000 accidents occur every year because drivers are using their cell phones when they should be focused on the road. As a technology site, it's partially our responsibility to make our readers aware of these dangers. Accidents can be prevented, and you can help by putting away your phone while driving and waiting until you're at your destination to call or text back. This is a very real issue, too. We've covered it a few times — and numerous reports have concluded that there's no argument, texting while driving can kill. In fact, a jury found a driver guilty of vehicular homicide earlier this year when the driver decided to send a text message and swerved into oncoming traffic and collided with another vehicle. On to the bright side: in partnership with AT&T we're giving away a brand new AT&T Samsung Galaxy S III with an "It Can Wait" case (service is not included), an "It Can Wait" t-shirt, two "It Can Wait" thumbbands, two "It Can Wait" stickers and a coupon for one free large device skin from SkinIt. One lucky reader will take home the entire bundle, and our giveaway is open to U.S. residents only. So how can you win? Comment below and we'll pick a winner at random. We want to hear what or how you have worked to help prevent others from texting and driving. Maybe you were a good co-pilot and took the phone away, maybe you're a parent and you force your kids to put the phone in the trunk while driving. Whatever it is, let us know. Good luck! Since the holidays are approaching, we're going to keep this giveaway open for two weeks until Thursday, Jan. 3rd. All submissions must be received by 11:59 PM Pacific time on Jan. 3, 2013.